Presented by TOEI COMPANY, LTD.
【Epsode1】When Hideyoshi Toyotomi was still named Toukichiro Kinoshita, a strange religious cult, Kinme-kyo was trending about the south of Biwa Lake. Apparently, those who do no put faith in this religion will face a terrible curse. What is the truth behind this? 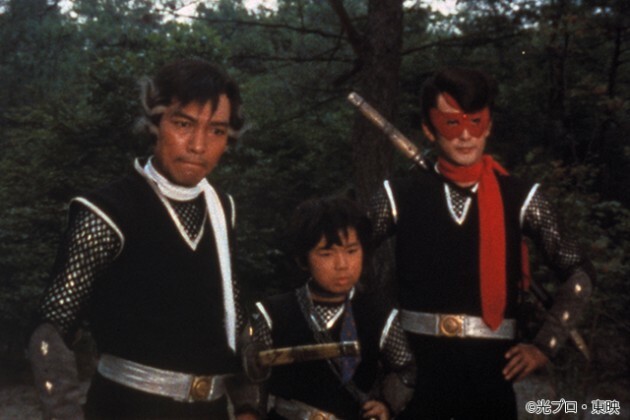 Toukichiro calls upon a masked ninja from Hida to find out about Kinme-kyo's secret. The ninja's name is... Akakage. The first colour live action television drama from Toei, based on the popular comic by Mitsuteru Yokoyama. The masked ninjas Akakage, Shirokage and Aokage battle with an organisation that plots the subversion of the government during the Sengoku period. 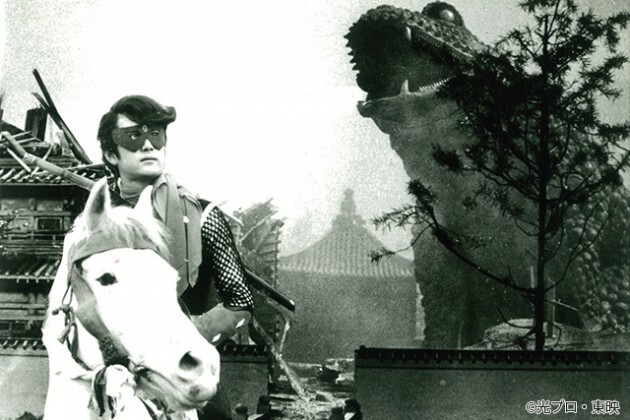 The series set fire to a ninja boom to the home as a completely new form of live action period fantasy, with inhumane ninja skills, enormous robots, and fantastical monsters. Kentaro Satomi's appearance in episode 1 as the genius strategist Hanbe Takenaka is also a must see. "THE TAKING OF TIGER MOUNTAIN"
■Hosted by: Kyoto HISTORICA International Film Festival Committee　■Co-hosted by: KYOTO CMEX Executive Committee　■Presented　under the auspices of: Motion Picture Producers Association of Japan, Inc.／Foreign Film Importer-Distributors Association of Japan／Motion Picture and Television Engineering Society of Japan Inc. ／FM-KYOTO Inc.　■Sponsors: TESPAC Co., Ltd.／Mitsui Garden Hotel Kyoto Shijo　■Cooperation: Books OGAKI Co., Ltd.